Toronto Mayor Rob Ford has been diagnosed with a rare and aggressive type of malignant tumour, but doctors are optimistic about treating it, according to the head of his medical team. Can Doug Ford win Toronto's race for mayor? Rob Ford tumour diagnosis: Do politicians have a right to medical privacy? 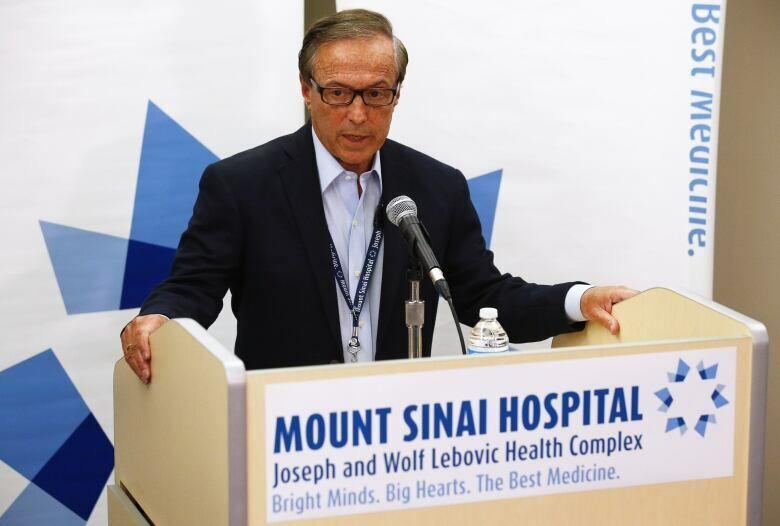 Dr. Zane Cohen revealed the mayor's diagnosis of a "malignant liposarcoma" to reporters gathered at Toronto’s Mount Sinai Hospital on Wednesday afternoon. "It is a liposarcoma … it arises out of the fatty tissue, but it is definitely a malignant tumour," Cohen said. Ford will undergo chemotherapy at the hospital, likely to begin in the next two days. He will undergo chemotherapy for three days while remaining at the hospital, and then spend most of the following 18 days at home, Cohen said. Dr. Zane Cohen of Mount Sinai Hospital revealed to the public Wednesday that Mayor Rob Ford has been diagnosed with a malignant liposarcoma tumour. (Mark Blinch/Reuters)The cycle of treatment will then be repeated and, after that, Cohen said doctors will review how the tumour is responding to the treatment. Cohen, who is overseeing the mayor's clinical care team, said doctors believe it is a "fairly aggressive tumour." It is also rare. "It comprises about one per cent only of all cancers. It has about 60 different cell types," said Cohen. But, he said, doctors are "optimistic" about the tumour, which is approximately 12 by 12 centimetres in size. "The reason I say that is that we have experts sitting in-house that treat, manage and research on sarcoma," said Cohen. Cohen said doctors have also found a "small nodule" in Ford's buttock, behind his left hip, which is part of the same tumour discovered last week. It is about two centimetres in size. The mayor is in some pain, but Cohen said that pain is being managed. The second tumour "is quite concerning," Dr. Nancy Baxter, the chief of general surgery at St. Michael's hospital, told CBC News. The so-called "satellite lesion" may be why Ford's doctors are attempting to treat his cancer with aggressive chemotherapy before a possible surgery, she said. Ford, 45, went into hospital last Wednesday, at which time the tumour was first discovered. Two days later, he dropped out of the mayoral race. His brother Doug Ford, who has served as a city councillor for the past four years, is running for mayor in his place. In a statement on Wednesday, he said the diagnosis about his brother has been "devastating" for the Ford family. Thanking the public for their support, Doug Ford said the mayor is "upbeat and determined to fight this." Doug Ford was among a handful of family members who attended the hospital on Wednesday. 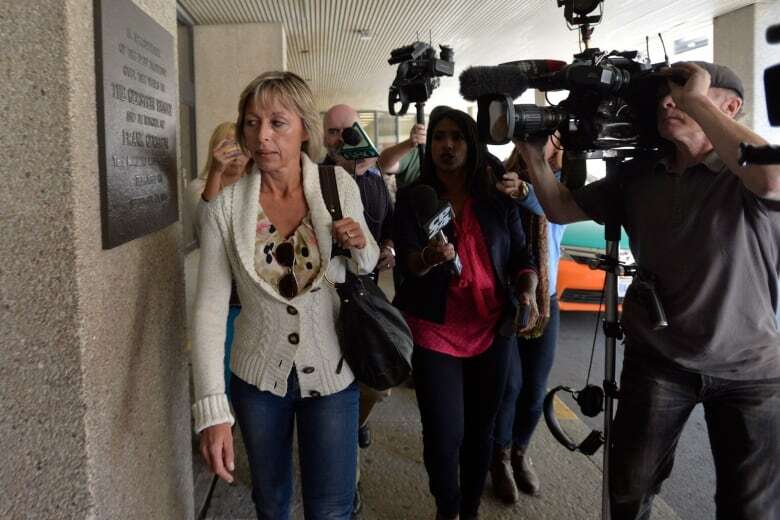 The mayor's wife, Renata, was seen going into hospital, as was his mother, Diane, and his other brother Randy. Cohen said that Rob Ford's family had learned of his diagnosis over the past few days. As news of the mayor's diagnosis spread on Wednesday, his fellow council members, former mayoral opponents and even the prime minister issued statements offering their best wishes to Ford as he enters treatment. The mayor has been to hospital at least two other times this year — for a reported toe injury, and when he went into rehab nearly a year after the start of a drug-related scandal involving crack cocaine that has made Ford a world-famous politician. Ford was also in hospital the year before he was elected mayor, for appendicitis. 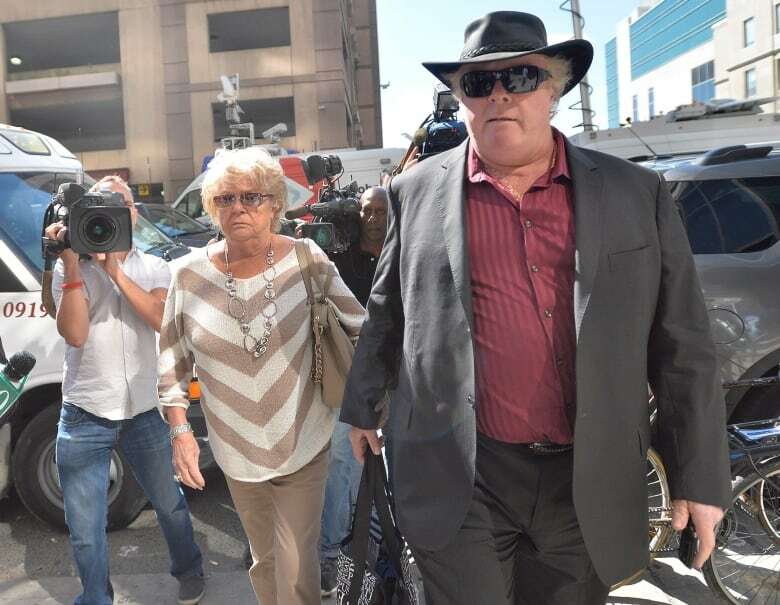 Mayor Rob Ford's mother, Diane, and his brother Randy are seen arriving at Toronto's Mount Sinai Hospital on Wednesday afternoon. (Nathan Denette/Canadian Press)​While the mayor once said he had "major surgery" on his appendix, in which a piece of his colon was removed because of a tumour, Dr. Cohen said the procedure was to treat inflammation of his appendix. "He did not have a tumour of the appendix," Cohen said. In 2011, the mayor had a CT scan that did not show any signs of the tumour. Baxter said this could mean it grew slowly over the next three years, or rapidly during a shorter interval. Last year, reports emerged that Ford had been recorded smoking crack and that someone was trying to sell that recording. The mayor denied both using the drug and the existence of the tape. Last October, police revealed they had obtained a video file that was consistent with what the media had reported. Within a week, Ford admitted to having smoked crack, which he then said had likely occurred during one of his "drunken stupors." When photos emerged this spring of the mayor holding a crack pipe, Ford took a leave of absence and went to rehab. He came back to work at the end of June and resumed his campaign for re-election.